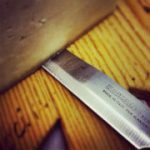 Last Updated Dec 2018 – Knives are somewhat of a contentious topic among kitchen experts. Any internet discussion will invariably involve polarized opinions from one camp or another. You’ll see professional chefs that swear by their super-cheap Victorinoxes, social media cooks that prefer their expensive Ginsus, a contingent of people peddling their home-sharpening expertise, and everything in-between. Can I Get By With Cheap Steak Knives? The truth is, kitchen knives are very much a thing of personal preference. If you’re satisfied using a cheap stamped chef’s knife, there’s no real reason for you to upgrade. When it comes to steak knives, however, there’s a lot more incentive. 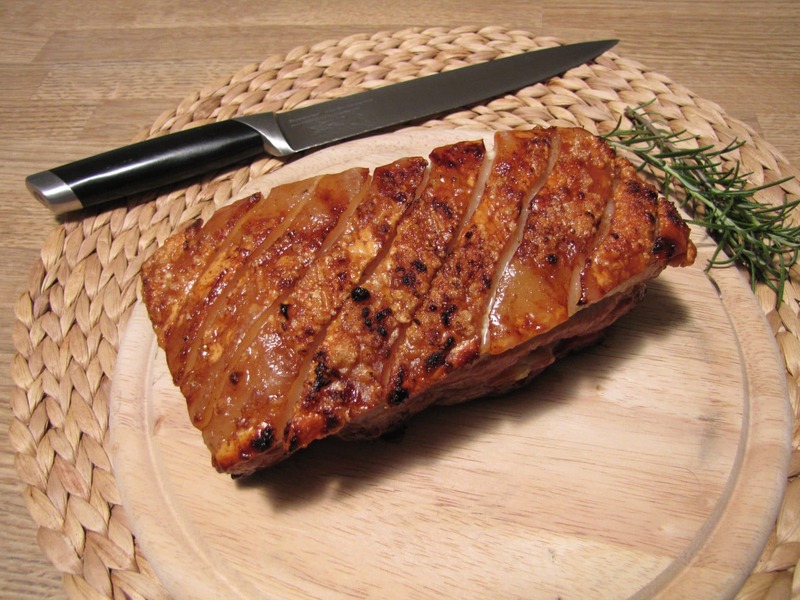 You’ll be presenting the food you’ve worked so hard on alongside your set of steak knives. If you want to make a good impression, giving your guests something that doesn’t look like it comes from Wal-Mart is a good start. You still don’t need to spend a colossal amount of money. You can get high quality, attractive sets of steak knives for less than the cost of a single Ginsu. 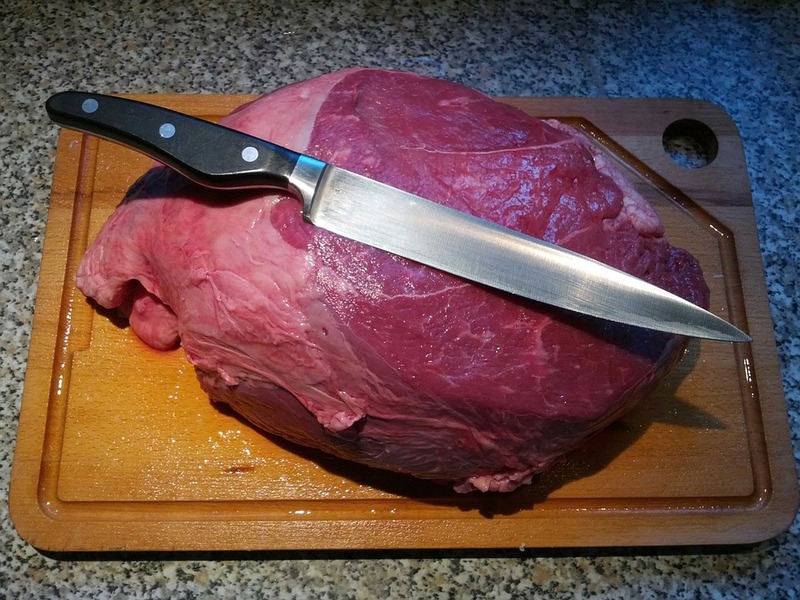 Here are some of my top picks for stylish steak knives that won’t break the bank. Every detail about this knife set is designed to impress. From the beautiful Acacia wood block to the subtly patterned German steel, this set is absolutely beautiful. It’s functional, too. 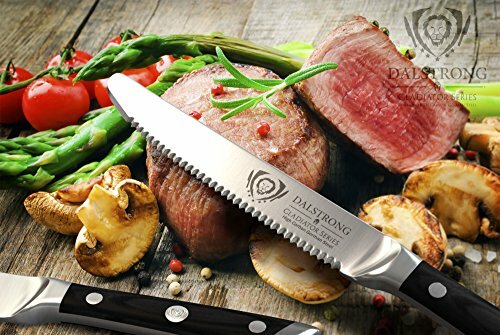 Made from X50Cr15MoV steel with carefully designed serrations, you and your guests will have no problems cutting through meat, bread, and vegetables. One of the nicer things about this set is the sheer size. While it’s not the cheapest set on this page, it’s the biggest. 8 knives means a family of 4 can use this set twice before having to do the dishes. Because you won’t want to put this quality steel in the dishwasher, this is a very nice touch. The handles on these knives are made out of a tasteful plastic material. They’re not quite as fancy as some wood-handled steak knives, but they’re much easier to take care of. The knives are quite ergonomic and have wonderful balance and heft. You’ll really feel like you’ve got a work of art in your hands while you use them. Best of all, the steel is lightly patterned and looks incredibly beautiful. If you’ve got a big family or you want to tastefully display your steak knives, this incredibly sharp Cangshan set is a great choice. This beautiful knife set is available in both 4 and 6 pieces. Both are great choices. The 6-piece set allows you to set a larger table or use a few more knives before washing them, while the 4-piece set is usually a bit cheaper for smaller families. 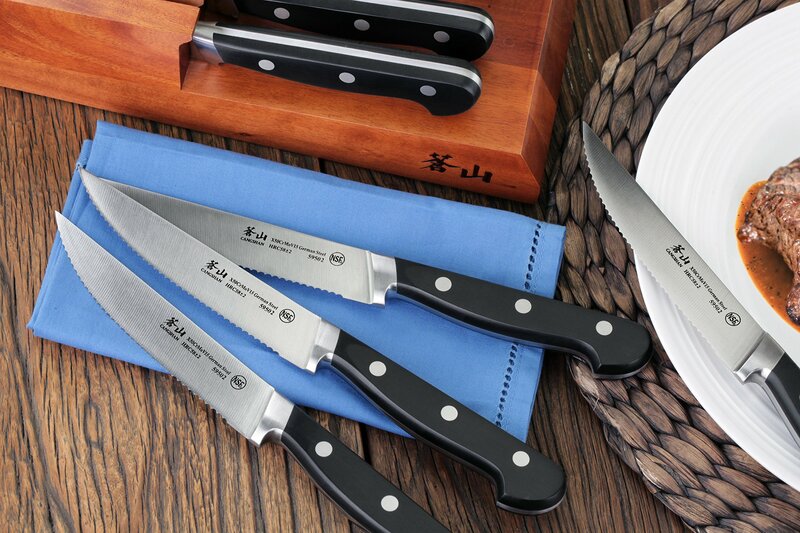 Each knife in this Wusthof set is stamped from high-carbon steel. Unlike the other sets on this page, they’re not serrated. This has both upsides and downsides. Serrations help your knife feel sharper with less maintenance, but they’re harder to sharpen should they become dull. This means that these un-serrated knives are much easier to sharpen and maintain. On the other hand, if you don’t sharpen them regularly, they’ll become dull. With regular sharpening, they’ll be much, much sharper than either of the serrated sets on this page. Aesthetically, these knives are fairly nice. They’re lightweight with tasteful branding and clean lines. They’re not as visually impressive as the DALSTRONG set below, but they’ll still impress your guests with their incredible sharpness and elegant design. While the synthetic handles are designed to be dishwasher safe, you’ll want to hand wash these most of the time. A limited lifetime warranty will protect you against any rust spots that do occur. With a bit of care, these wonderful German knives will last you a lifetime. If you’re interested in sharpness above anything else or you’re a fan of sharpening your own knives, this set is the best choice on the page for your kitchen. Both the 4 and 6 piece sets are great choices depending on the size of your household. I’ve got a bit of a soft spot for DALSTRONG knives. While I don’t own as many of them as I should, the ones I do have perform absolutely incredibly. They’re incredibly well made and quite affordable considering how high-quality they are. This set of 4 steak knives is no different. DALSTRONG has seated gently serrated German steel in elegant black pakkawood. They’re styled after the sorts of knives you’d find in an extremely upscale restaurant, with big blades and big handles. 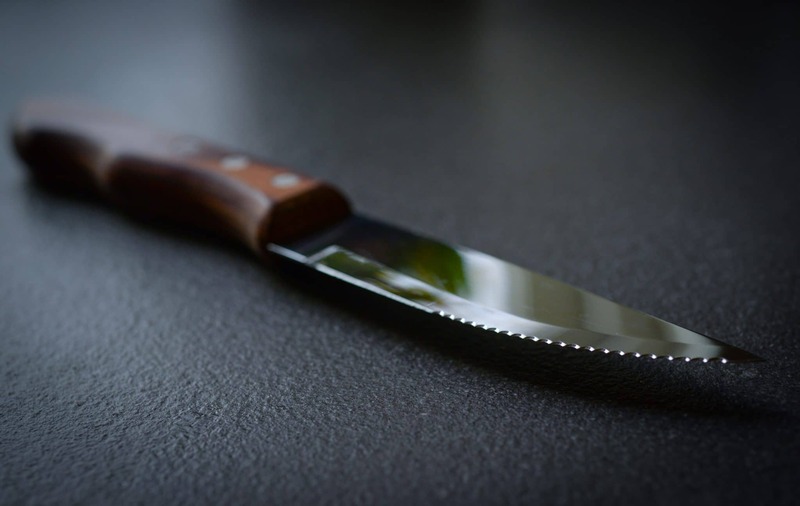 The expertly beveled edge will slice through meat like butter, while carefully designed serrations ensure that you’ll never need to sharpen your knives yourself. Aesthetically, these knives are my absolute favorite. I can’t imagine someone not being impressed when you set one of these bad boys down in front of them. There’s even a sheath included for each one of these knives, which you can use to protect your drawer or impress your guests even further. The biggest downside to this set is that you only get 4 knives. If you’ve got a smaller household, that’s not a problem, but if you’ve got 5 people that you need to feed each night, you’re going to need to buy two sets. I think the elegance and incredible sharpness of these knives is more than worth buying an extra set, but you might not agree. Wonderfully sharp and incredibly beautiful, this knife set is one of my absolute favorites. While it might not be the best choice for smaller households or people who want to sharpen their own knives, it’s perfect for everyone else. Which Set Is Best For Your Household? Like my other product recommendations, there’s an argument to be made for each of these picks. While the DALSTRONG set is my favorite for smaller households, the Wusthof sets are much easier to sharpen by hand and can be scaled up to a 6 person table. Finally, the Cangshan set is perfect for larger households and comes with a stylish wooden block that’ll add character to your kitchen, even from a drawer. No matter which set you pick, you’ll be sure to impress your guests with these beautiful, sharp knives. The choice is yours!